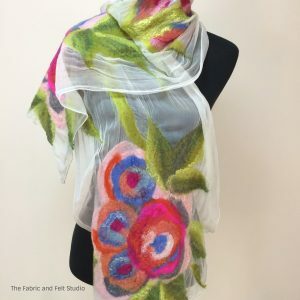 This hand felted wrap uses a technique called nuno. The name is derived from the Japanese word “nuno” meaning cloth. 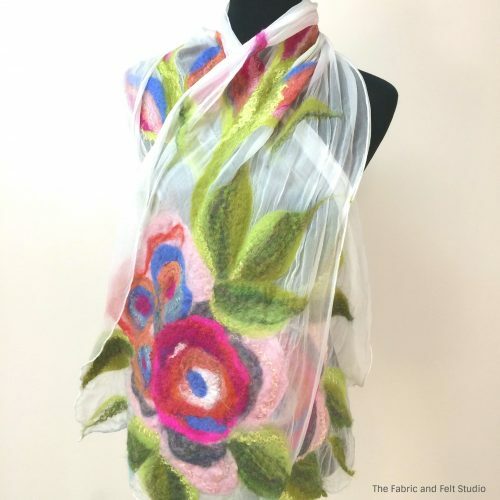 The technique bonds loose fibre, in this case merino wool, into a sheer fabric such as silk organza, creating a lightweight felt. The base colour is white silk organza to which I laid fine layers of coloured wool down before embellishing it with silk tops, to give it just a little lustre. It measures approximately 168 cm long and 36cm wide. 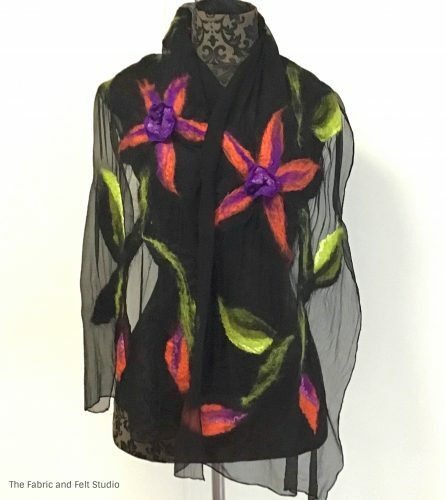 This is a light weight wrap that is just perfect for the Autumn and Spring evenings or just that little something to keep the chill of air conditioning off your shoulders while out for dinner. This is one off creation.